Is your current wooden deck splintering, splitting, warping or rotting? Instead of spending more time and money in annual deck repairs, invest in a paver patio design that will cost less and look better over the long term. A concrete paver patio will offer you a number of distinct advantages over a wooden deck. Learn more about the reasons why you should consider replacing your wooden deck with a paver patio. Wooden decks require annual maintenance that includes cleaning, staining and replacing worn or rotted deck boards. 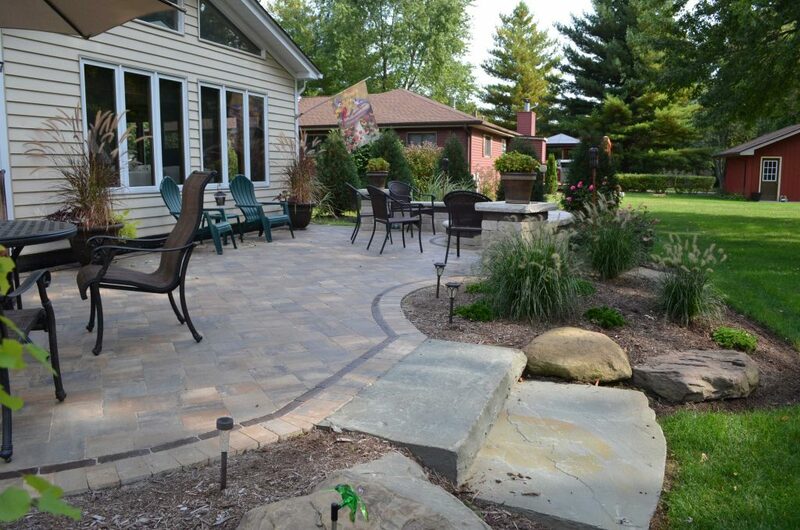 Once a paver patio is installed, little maintenance is required. A periodic resealing may be needed, but aside from resealing, an occasional pressure washing should be the only maintenance necessary. 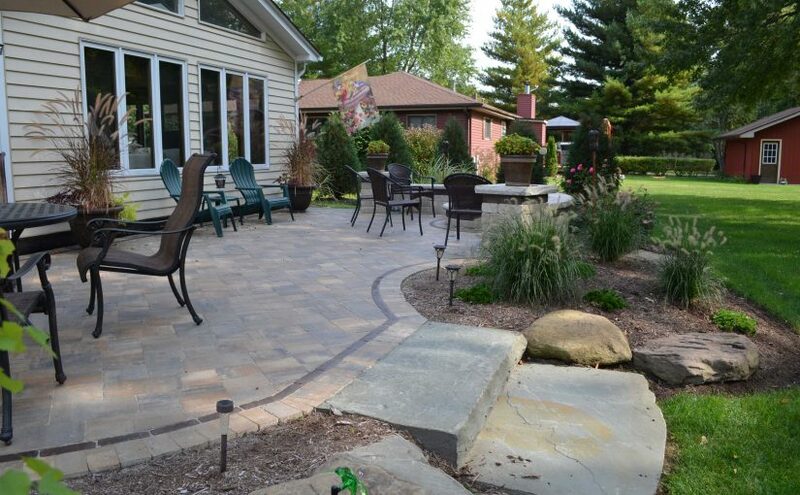 Pavers are highly weather resistant and will hold up to the elements better than wood. This means less money spent on repair and maintenance over a period of several years. While you will need to budget for costs associated with the demolition of your existing deck, repairs to the house siding or masonry, and steps to connect your new paver patio to the exterior of your home; the long term value will override any short-term difference in cost. Be sure that a site evaluation is part of your initial discussion with a landscape designer in order to address any concerns about patio placement, grade and drainage. If you replace your wooden deck with a paver patio, you will experience a much better return on your investment when it comes time to sell your home as well. A fire pit creates a warm outdoor gathering place for the family — for apparent reasons, wooden decks aren’t a good fit if you would like to integrate a fire pit into your outdoor living space. Stone steps can also be incorporated to add functionality and visual interest to your landscape design. Brick, stone and concrete pavers are now available in a range of styles and colors that can compliment the exterior architecture of your home. Pavers can also be designed in a free-form manner that looks and feels more cohesive with the rest of your backyard landscape. Need a few more reasons to replace your wooden deck with a paver patio? Read through our customer testimonials and then call us at (630) 932-8966 for a free consultation.